Share corgis with friends! 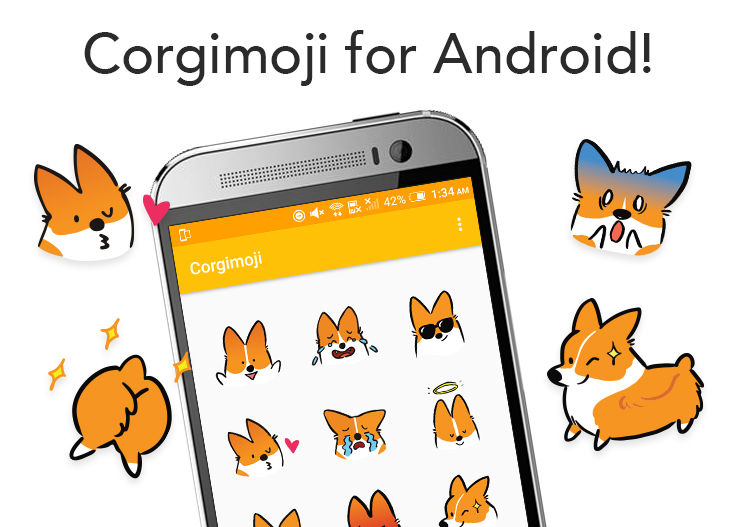 Our Corgimoji sticker pack includes OVER 80 corgi stickers featuring our original artwork (some are even animated!). Why do I have to pay $1.99USD? Corgi Things is very much a passion project and is 100% funded by my own money. The earnings we take in from the app are then divided up to reward the small but nimble team that make these fun corgi things happen. The app currently contains over 80 stickers, all original artwork. We will also be releasing more add-on packs in the future, so the earnings we receive from this app will contribute to more fun corgi things! Is there a Tricolor version? Yes! 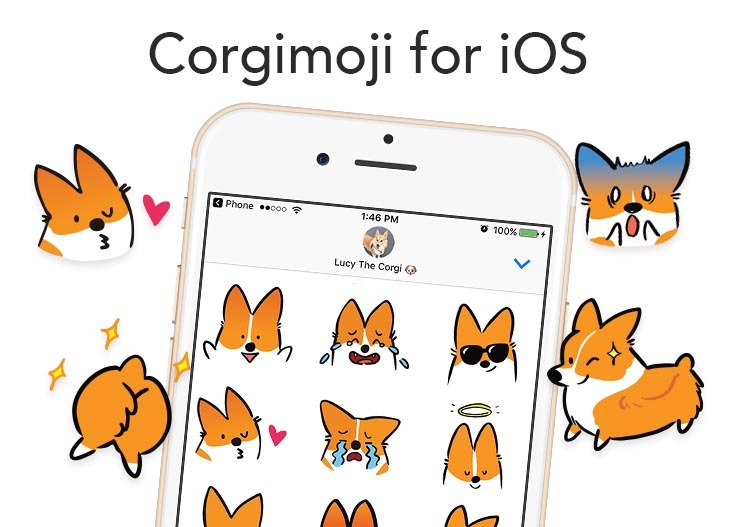 We have Tricolor versions that are separate apps with ALL tricolor corgis. Just search "Tricolor Corgimoji" in the App Store. How do I use the sticker app for iOS? How do I use the sticker app for Android?